You’ve always done things just a bit differently, with independent style and confidence. When you asked her out, you headed to the little Italian restaurant you discovered downtown. You open the door for her, and that lingering scent of mandarin, vetiver with leather overtones, wafts slowly in the air. Heads turn, and you’re led to your table. She squeezes your arm a bit tighter. It dawns on her that she’s the envy of the room. It dawns on you that Vince Camuto deserves a thank you. Luckily, Vince Camuto -- founder of the women’s lifestyle brand that bears his name -- knows what women want. With his expertise, inside a sleek black and silver flask, he launches a fragrance for men that is a bold blend of mandarin, bergamot, vetiver, musk, leather and woody overtones -- a masculine, sensual, formidable wardrobe accessory. 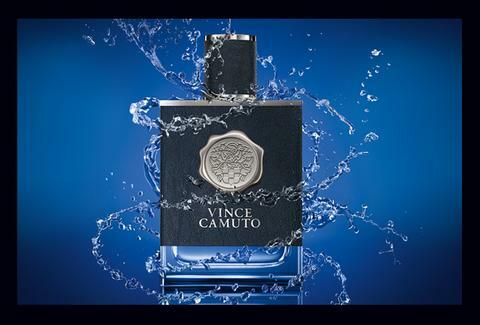 Head to Vince Camuto's website, snag the fragrance, and enter promo code THRILL to receive a free gift with purchase.